In the center of the Llyn penninsula we are ideally located to visit all North Wales attractions, almost everything is within a 10 min drive from beaches to mountains to castles. We have multiple tree lined camp fields with pub onsite serving local real ales, beers, spirits and wines. We have two modern heated pump shower blocks with disabled facilities and a washroom with sinks, fridge & freezer and a coin operated washer & dryer. Onsite fishing lake is stocked with a variety of course fish. Site wide unlimited WiFi at no cost. We are also very diver friendly with an onsite twin compressor dive air station to 232 bar. We are a family caravan site of 60 level pitches all with a 10 amp electric hookup and water taps spaced every other pitch. Within 5 minutes of the town of Pwllheli and around 10 minutes from Abersoch with an emphasis on relaxing and having fun, we strive to have every camper leave with great happy memories! We are superbly situated at the central crossroads of the beautiful Llyn Peninsula, Snowdonia provides the perfect backdrop with its fabulous views. Nestled in tree lined green fields, it is only three miles away from the nearest seaside town of Pwllheli with J.D Weatherspoons, Subway sub sandwiches, ASDA, Lidl, Home bargains, Wilco, Costa coffee, plus multiple pubs, restaurants and local shops. Pwllheli is also home to a large marina and sailing club. The local market is held on a Wednesday and Sunday with an occasional visit by a French market. We are under 10 miles from the village of Abersoch a local attraction for the rich and famous! 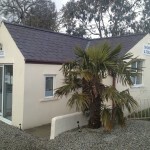 We are located just three miles from Pwllheli in the heart of the Llyn penninsula within a short drive of Nefyn, Morfa Nefyn, Criccieth, Porthmadog, Beddgelert, Abersoch, Aberdaron and Caernarfon. Almost everything is under a 10 minute drive with some stunning beaches, castles and villages. A modern heated toilet and showerblock with washroom has 6 showers, 6 toilets, 6 sinks, 2 hand driers and is tiled throughout. Washroom has two deep sinks with drain area, a coin op washer dryer, ironing board and iron and a freezer for guest use. 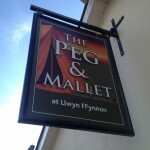 We have a fully licensed pub onsite called The Peg & Mallet that has a large decking overlooking the top field, our lagers, beers and ales are kept to a very high standard and are priced inline with the local pubs in our area. We have a new guest real ale weekly and make an effort to supply local brews like Cwrw Llyn from Nefyn and Purple Moose from Porthmadog as well as old favorites like Hobgoblin, Old Speckled hen and The Reverend James. We keep a full selection of sprits, wines and soft drinks. Our onsite fishing lake is stocked with a variety of fish including tench, common carp, mirror carp, grass carp, trout and the occasional eel. 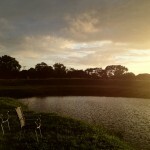 Fishing the lake is included in your stay, but we do ask you catch and release. We welcome your feedback. Click on the logo below for some reviews expressed by previous customers.